Dunnellon Auto Repair - Kelly's Auto Repair & Service Inc. COMPLETE AUTOMOTIVE REPAIRS!FAMILY OWNED AND OPERATED! WELCOME TOKELLY'S AUTO REPAIR & SERVICE INC.
With several years of experience under his belt. 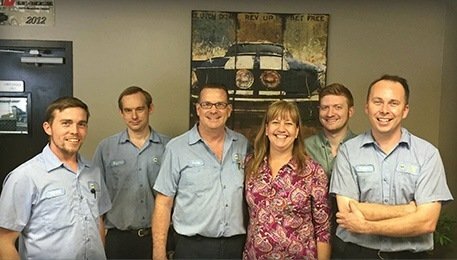 Kelly Michel opened the doors to Kelly's Auto Repair & Service Inc. in 1995 in Dunnellon. A natural "fixer," Kelly knew his calling was to open a shop. With the help of his parents and working out of a local body shop to get established, Kelly's Auto Repair was built between Kelly and his father. A family owned and operated business, Kelly's Auto Repair & Service is here to help repair, service, and maintain your vehicle. We appreciate all of your support, and look forward to meeting all of our customers - new and returning! Always does a great job and is very fair with pricing. Great Service Nice Team. always Helpful ! We’ve been having our cars fixed by Kelly’s Auto Repair for 3yrs, and I absolutely trust in them. Kelly’s is the only place we take our car to get fixed. We love how family oriented they are, and how they treat us as customers. I highly recommend! They’re excellent, and extremely knowledgeable within their trade. Love them! We have always been able to get our vehicle service at the appointment time. Appreciate the vehicle inspection report that is provided immediately after any service is performed. Have never been provided that even from the car dealership when bringing vehicle in for different services. Thumbs up and kiddos. .
Kelly's Auto Repair and Service, Inc. offers amazing customer service, a great warranty and have financing available. Come visit our shop or give us a call for more information or schedule an appointment today!